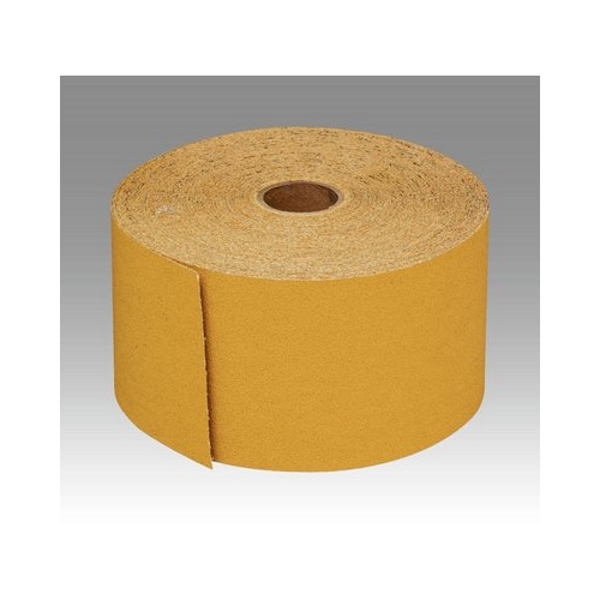 2¾"-wide roll of open coat aluminum oxide abrasive sandpaper with adhesive backing for easy-on easy-off attachment to 2¾"-wide hand pads. Sold by the roll in a variety of grades and lengths. 3M Stikit Gold Paper Sheet Rolls are designed for hand-sanding wood, light-colored substrates, varnish, and sealers. Available in P500, P400, P320, P240, P220, P180, P150, P120, P100, and P80 grits.